Henry Holt and Co. (BYR), 9781627790611, 192pp. It's another day at Boerring Elementary: Einstein the class hamster, lover of fun facts, is getting ready for his game show when in walks Principal Decker with some bad news. Due to severe budget cuts, the school library will be closed for the rest of the year. How is this possible? The library is the heart of the school! Einstein is determined to find a way to save the library. With the help of Marlon the turtle, his friend Ned, and Ms. Moreno's entire class, plans are put in motion! 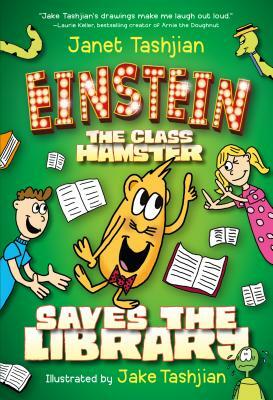 Janet and Jake Tashjian are back with another winning story starring the lovable walking encyclopedia, Einstein the class hamster.